Hello! It's the 13th of the month which means we are hopping with some projects from this month's Ribbon Club Assortment! 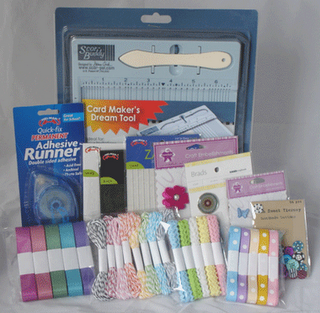 You can join the Ribbon Club for only $9.00 a month and that includes shipping! Trust me, it is so fun to receive gorgeous ribbon in the mail on a monthly basis!!! I think I've found some of my new favorite ribbon. This Satin/Grosgrain Double Band Brown Ribbon from May Arts is soooooo yummy!!! It matches PTI Dark Chocolate perfectly and is so awesome to work with! You have got to check out all of the colors that this stuff comes in! Oh my goodness they are so bright and beautiful and I want them all!!! You can find them HERE! My image is the uber adorable Ellie Loves to Skate from Your Next Stamp, and the dp is American Crafts Merrymint. I used Taylored Expressions Sketch Challenge #134 for my layout. There is also a fabulous sale going on at Your Next Stamp! So if you really like this Ellie Loves to Skate or any of the other YNS images, they are on sale through Wednesday HERE! Ok, now it's time to hop on over to Connie's Beautiful Blog! Make sure you leave comments along the way for your chance to win your very own Ribbon Club Assortment:) Have a great day! It's a beautiful card Kerri! Sooooo cute!! Thanks for sharing! Oh these is just too cute. And the brown goes so well with the bluse, one of my favorite combinations. Great card. Love those brown ribbons on it! Never would have thought of it on a Christmas card but it's awesome! Great post packed with all sorts of info. Thanks! So cute! You did a great job on the coloring and I love the mixture of colors and patterned paper you used! This is darling! And that image is just too sweet! Your card is beautiful. Love all those colors together. The image is absolutely adorable. What an adorable image, She is so sweet!! Love the colors you used!! TFS!!! oh I just love the colors on that card!!!!! awww Kerri this is DARLING hun!!! I love the image you used she is tooo sweet, and the ribbon is always beautiful huh??!!! 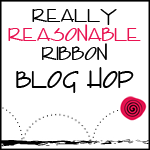 I too am addicted to RRR :) 1 of my many favorites is the satin ribbon with grosgrain edge! Love how the brown contrasts the blue, fab card, thanks for sharing. Oh Kerri, such a cutie! Love your card! Beautiful!! What a great card.. love the colors..she is too cute... the snowflakes is a perfefc touch. and the bow makes a final statement saying now "i am a finsished card"
Love the colors you used in your card. That ribbon is perfect. Thanks for sharing. What a lovely card...your coloring is fantastic and that image is soooo cute! I truly adore the colors you chose...did I say fantastic?! Super sweet card, Ms. Kerri! LOVE it!!! Ummm, yummy!!! Chocolate ribbon! Thanks for sharing! Such a cute stamp makes quite an adorable card! Thanks for sharing! Adorable card Kerri love the cute image and the colour combo is fab! Adorable card. Love it! Have a very Merry Christmas. This is an adorably cute card, love the image and the colours and ribbon really work. The colors on this card just POP Kerri. I love your eye for color!!! love the card, might scraplift! Perfection! Such a sweet image!